Some of us think our way through life, others feel our way through. See, hear, feel and perceive the subtle flow of hidden forces at work in your daily, ordinary life. Clear your mind, open your heart and expand your awareness. We learn to listen to ourselves by listening with our whole body and soul. Open your inner ear, and listen to the quality of the sound of your inner voice. Do not get caught in the content of the words–instead notice the quality of energy in the thoughts. Allow your whole body to speak to you. Notice where the energy arises. Acknowledged sensations, and breathe into them. Assimilate your experience, slow it down by taking a few deep breaths–and feel it in your body. Appreciate the energy in the physical felt-sense, and let it shift into an emotional feeling. Allow the energy to keep moving. . . Notice if memories, images, pictures or other impressions arise. Let your intuition begin to put the pieces together and your create insight and meaning out of your experiences. We learn to listen to others with the same sensitivity. To acknowledge what someone is saying. It helps to slow down (and breathe) as we listen and take in what is being said, so we can appreciate the emotional quality of the energy behind what one is saying. You may even have images, picture or other subtle impressions that give you insights into another’s experience. 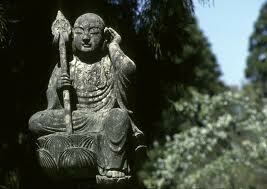 This capacity to listen deeply to another is enhanced by embodied awareness. In one of our embodied awareness seminars, a participant Stacy said, “Deep listening has been beneficial for me both personally and professionally. I have found it has increased my awareness of felt sense and my understanding of emotions (mine and others). It has also increased my confidence in my intuition. I practice deep listening within dyads and with family and friends the feedback has been right on…..Yes! I am right! ” In the past I have always doubted myself so I am so grateful for the opportunity to really solidify this practice for myself and increase my capacity in such a profound way. It is creating expansion in all aspects of my life. Deep listening is allowing me to become more embodied completely”. What changes for you, when you listen deeply to yourself? What changes when you listen deeply to others? This entry was posted in Deep Listening and tagged deep listening, Dr. Beth Hedva, embodied awareness, radical self care, senses. Bookmark the permalink. Solar Eclipse Love Wave Party!